This time of year in my work as a school counselor, seniors are thinking ahead to college. Many are worried about leaving their friends behind when considering colleges and universities that are out of town or even out of state. 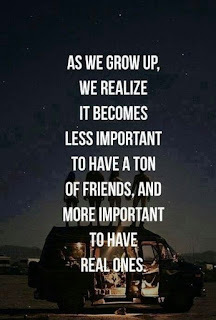 With these worries, I always advise students that although it's nice to have lots of friends, the real important friends will still be your friends years after high school, whether or not they go away for college. Fast forward 20 years, I find myself thinking back to when I was a senior in high school, having those same fears and worries about losing my friends. Today, I can count my closest friends on one hand. We try to schedule dinner dates every few months, most especially during birthdays and at the end of the year during the holidays. These dinner dates are special - we reminisce with funny stories growing up, we share mommy and wifey stories, and squeeze in a bit of innocent gossip here and there! Who loves cookies, cakes, and all things sweet? I do! My friend Joyce and I had so much fun at the Cupcake Fair and Expo a few months ago, we knew we had to check out LA Cookie Con! What's the LA Cookie Con? It's only the West Coast's BIGGEST baking and pastry convention! I'm giddy with anticipation! What can you expect to see, and eat, at LA Cookie Con? Velvet Rope Bakeshop - bite-sized cake truffles and unforgettably delicious cookies. Last year, tickets were sold out! Buy your tickets today! I've been a fan of Tender Greens since it's first location opened in San Diego in 2008. Back then, I was a new mom looking for healthy meals to help me lose my baby pounds. Tender Greens was a welcomed alternative to fast food! Now that Tender Greens' 4th location in Mission Valley is now open, the fresh and healthy dishes are even more easily accessible! 1) The salted white chocolate cookies are addicting! The saltiness was a nice compliment to the sweetness of the cookies. 2) The backyard marinated steak as a hot plate with the mashed potatoes and spinach salad is a nice hearty meal that satisfies when I'm really hungry. The steak is cooked medium rare and seasoned in an herb marinade that's perfect . The creamy mashed potatoes just melts in your mouth. Amazing Experience at the Moscow Ballet's Nutcracker! Wide-eyed and at the front of our seats! My boys and I completely enjoyed our first experience watching the Nutcracker Ballet last night at the Copley Symphony Hall in Downtown San Diego. It was a treat to have this experience with the renowned Moscow Ballet! The entire performance was awesome! As a young girl, I dreamed of being a ballerina as many do. They were pretty, graceful, and had cute tutus to twirl around in. At the Moscow Ballet last night, I felt like a little girl again. I found myself at the front of my seat, smiling with delight at the dancers crossed the stage. I even caught myself a few times dancing a bit in my seat, mimicking the moves of the ballerinas. I have to admit, I was enjoying every moment! 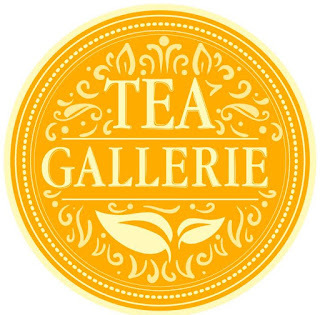 Tea Gallerie, located in San Diego, California, carries teas from all over the world. They carry traditional teas and blends, but also offer unique and distinct teas to please any and all tea lovers, young and old. Tea Gallerie really is a "gallery". They have wall-to-wall containers of all of teas where you can open them and smell the tea. The tea gallery is organized by type of tea. Oolong on one side, green, white, chai, and so on to the other side of the gallery. I found myself starting on one side and smelling my way over to the other side of the tea gallery. Come and experience a Filipino Christmas at PASACAT's annual Parol Festival right here in San Diego! Enjoy a multi-generational event centered around the Parol Star Lantern. What is a 'parol'? It is an star-shaped Christmas lantern from the Philippines. It is traditionally made out of bamboo and paper and comes in various sizes and shapes, but most are made in a star pattern which symbolizes the Star Of Bethlehem that guided the Three Kings to the manger of baby Jesus. It also symbolizes the victory of light over darkness and the Filipinos' hope and goodwill during the Christmas season. 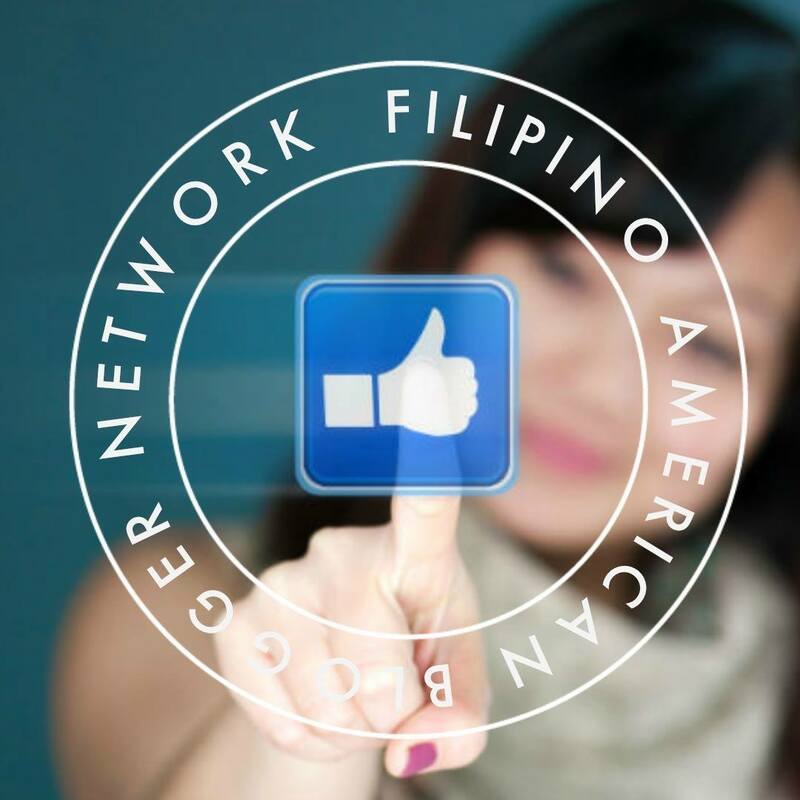 Experience a taste of the Philippines with food, dance, music, and exhibits! 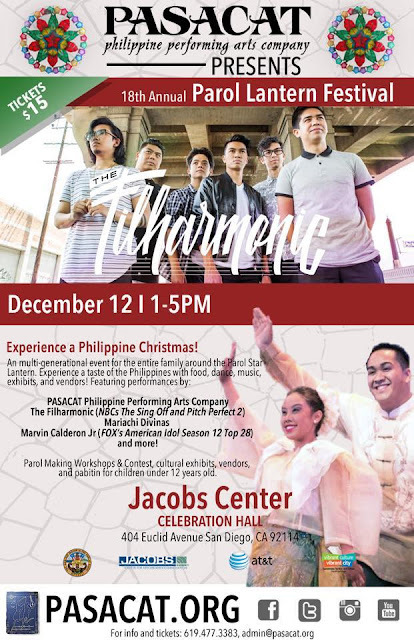 Featuring performances by PASACAT, The Filharmonic, Mariachi Divinas, Marvin Calderon Jr., Teye Sa Thiosanne, Three Treasures Cultural Arts Society - Lion Dancers and more! It's fun for the entire family! 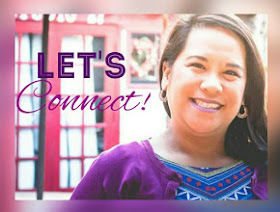 Hello all - An English teacher at the school I am working at is embarking on a grand task and she's asking for our assistance. 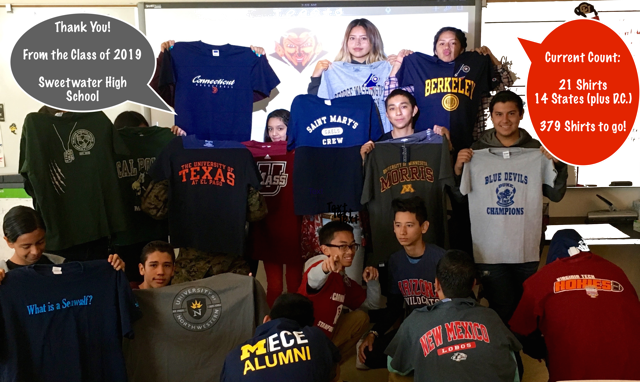 She is co-advisor for this year's freshman class (Class of 2019) and she would like to get a college t-shirt for every freshman that they could then wear for the next four years (or however long they last!). While we could do a fundraiser to get 400 shirts from San Diego State (our local university), we would really like to get shirts from a HUGE variety of colleges and universities around this great country.